I Don’t Believe in Personal Injury Lawsuits, But…. Lately I’ve been thinking, why is there a stigma about Personal Injury lawsuits? Why do people feel guilty about talking to a Car Accident Lawyer after being injured in an accident caused by another driver? Why do people believe that making a claim for compensation is a bad thing? Why the Guilt about Personal Injury Claims? I came up with a few ideas as to why people feel guilty about making Personal Injury Claims. The first is that some personal injury lawyers contribute to the stigma by producing and airing cheesey TV commercials promising “large cash awards” if you’ve been injured in a car accident. These tacky ads create negaive feelings about injury claims and Personal Injury Attorneys. I don’t do TV ads and wish my fellow injury lawyers would stop. Insurance companies and politicians have also contributed to the stigma by launching campaigns to promote Tort Reform and caps on money damage awards, making it seem like an injured person is being greedy for pursuing compensation after being injured in an accident. Insurance companies have an obvious motive, to reduce claims and increase profits, and politicians receive campaign contributions from insurance companies. There’s also a certain amount of guilt that naturally arises when we think about the adversarial process of making a legal claim against somebody else. My thought on the guilt is that it’s natural, but not really logical. The reality is that you are only following Pennsylvania Law by making a claim AND the claim will be paid by an Insurance Company, not the person who caused the accident. 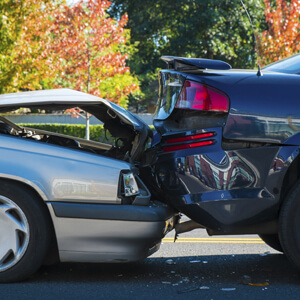 If you’ve suffered actual injuries and damages because another person broke a safety rule and caused an accident, Pennsylvania Law provides that you have a legal right to compensation. If someone was driving too fast and rear-ended you, or ran a red light, or was texting while driving and crashed into you, Pennsylania law provides that they were Negligent and they owe you fair compensation to make up for your injuries and damages. Compensation allowed under Pennsylvania law includes money for your lost wages, medical bills, out-of-pocket expenses and money to make up for your pain and the negative impact of the accident on your life and activities. There is a good reason why Pennsylvania has this system of compensation. If it did not, people might resort to extortion or even violence to get compensation after an accident rather than deal with the matter in the insurance claim process or in court. The other important fact to undersand when considering a claim for compensation after a Pennsylvania car accident is that although technically the claim is against the driver who caused the accident, in reality, the claim will be defended and paid by the driver’s insurance company. The claim will, no doubt, impact the responsible driver’s insurance rates (which it should because the driver broke the law and cause an injury). However, the driver’s insurance company has a contractual obligation to defend the driver and pay your claim up to the amount of liability coverage that the driver bought. So, unless you choose to make a claim for personal assets, the responsible driver will not be bankrupted by the claim. 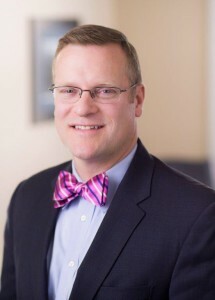 In addition to representing injured people and advocating and fighting for fair compensationfor accident victims, I’ve also made it a mission of my law practice to educate people on insurance and legal issues and try to eliminate the negative feelings about personal injury lawyers and lawsuits. Hopefully this Post helped….